One may say that not much has happened last week in case of gold and silver, but it’s impossible to describe the action in mining stocks in the same way. Miners started the previous week with a slide only to come back with vengeance before the week was over, changing the short-term picture for the entire sector. The weekly price changes show little changes as long as you only have a quick glance at them, without really digging into details. We did much more than just a glance. We unearthed… a weekly record. Last week was not as dull – overall – as it seems. It was a record-breaker in one precious-metals-related aspects. And since the implications extend from short- to medium-term, it’s definitely something that PMs traders need to consider. And it’s why we’ll start with it. 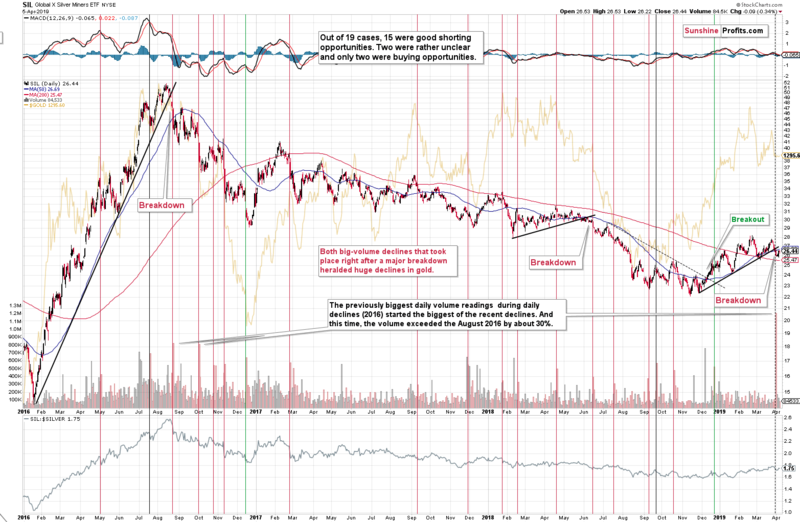 The full version of the above analysis also includes the assessment of the gold to Japanese yen ratio or how gold miners action fits into the 2012-2013 – now link in gold. Other crucial factors, patterns and thoughts not discussed in today’s paper are also covered. 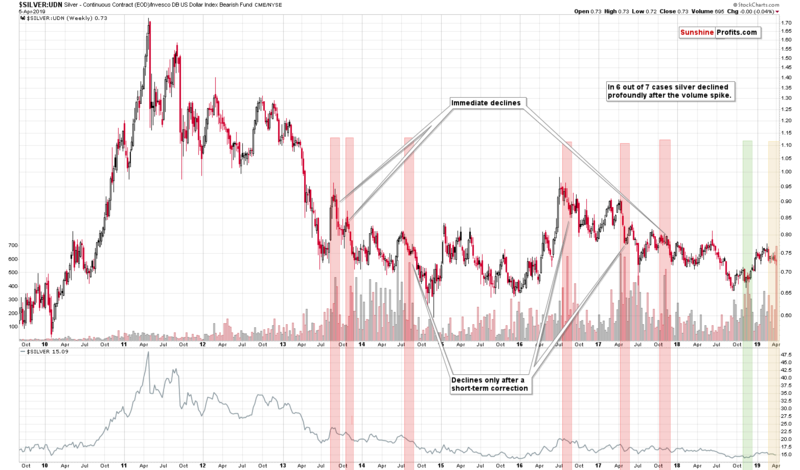 Altogether, they provide key clues as to the next short-term moves, vital confirmations and superb analytical strength. They shape how we and our subscribers play there moves and are discussed in the full version. If you’d like to read it and receive follow-ups (including the intraday ones, when things get hot), we invite you to subscribe to our Gold & Silver Trading Alerts today.